The PGA Tour schedule shows a tournament this week in Memphis, Tennessee, The FedEx St. Jude Classic, but you’d never know it based on news reports, blogs and social media chatter. It seems all anyone wants to talk about is the U.S. Open, which is being played next week at Shinnecock Hills Golf Club on Long Island. Golf Canada and the marketing folks at RBC may want to make a note of that fact. In 2019, the Memphis tournament will become a late July WGC event, so the week before the U.S. Open will become available and a possible contender for the slot may be the RBC Canadian Open. Our national championship has endured a long run in late July sandwiched between the Open Championship and the run-up to the FedEx Cup playoffs, and it’s no secret that organizers and sponsors would prefer a more attractive date. The thinking goes that more of the world’s top players might be persuaded to come to Canada as a tune-up for the U.S. Open than have come in the past. But be careful what you wish for. There are probably an equal number of the world’s top players that like to take off the week before a major. Then there is Sectional Qualifying for the U.S. Open, which is a 36-hole affair at ten sites spread all over the country the Monday before Open week starts. A whole lot of the rank-and-file PGA Tour players will be playing sectionals somewhere in the U.S. to try and earn a spot. Would they then want to make the trek to Canada on Tuesday for a short exhausting week right before one of golf’s majors? And when you factor in the scant attention that the St. Jude is getting, despite a reasonably decent field, would the RBC Canadian Open want another date when they essentially fly under the radar?. We won’t know the answer to the new schedule for a few weeks yet and whether any moves might affect the RBC Canadian Open but it’s pretty obvious that the U.S. Open casts a giant shadow on everything around it. That’s to be expected with majors. Each of them garners outsize attention among players and fans, partly because of their historical significance, but also because of their uniqueness. The Masters is the first major of the year and always played on the same course, the spectacular Augusta National; the Open is the oldest championship, is played in the U.K. and sports the most geographically diverse field; while the PGA Championship includes up to 20 PGA of America club professionals. The U.S. Open likes to say it is the best test of a player’s game and bills itself as the “most democratic” since almost half the field comes from local and sectional qualifying tournaments – meaning that technically, anybody has a chance to play. Of course, you have to have talent. There are over 9,000 applications received each year for local qualifying from touring professionals and elite amateurs sporting a handicap index of 1.4 or lower. These applicants, who come from virtually every corner of the golf world, compete in one of 112 local qualifying tournaments and the best 500 or so advance to sectional qualifying, where they are joined by about 450 pros that have been exempted to that stage. After all is said and done, about 75 players make it to the U.S. Open . And having a chance to play doesn’t necessarily mean you have a chance to win. Even if you make it through local and sectional qualifying, you still have to beat the world’s best players, who got into the championship based on world ranking points, past performance in majors and all sorts of other criteria that demonstrate their exceptional ability. Only six players have ever won the U.S. Open after getting through sectional qualifying, the last being Lucas Glover in 2009 at Bethpage State Park. This year, former major champions such as Adam Scott and Keegan Bradley had to go through sectional qualifying because they didn’t rank in the Top 60 and their previous exemptions had run out. Both earned a spot at Shinnecock Hills as did former WGC winner Shane Lowry and Australian Aaron Baddeley. PGA Tour players aren’t used to qualifying and they don’t like it. On the Canadian side, Mackenzie Hughes and three-time Canadian Mid Amateur champion Garrett Rank survived the gruelling 36-hole qualifier and will join Adam Hadwin who was otherwise exempt. 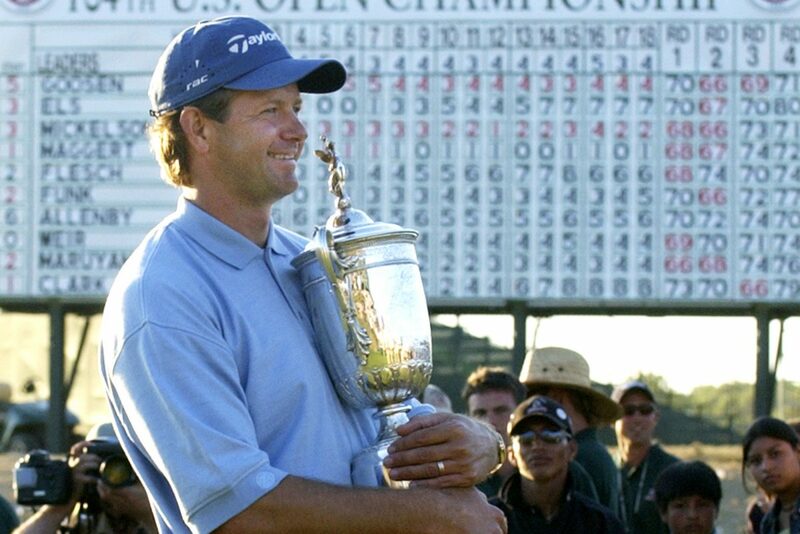 Retief Goosen claimed his second U.S. Open championship on June 21, 2004 at Shinnecock Hills in Southampton, N.Y. Some years, the USGA, which runs the U.S. Open, offers special exemptions to former champions when they are no longer exempt based on any of the criteria available. These have typically gone to players who are still active but nearing the end of their competitive days. Arnold Palmer, Jack Nicklaus, Lee Trevino and Tom Watson all received multiple special exemptions. Ironically, Retief Goosen, who is 49 and the winner of two U.S. 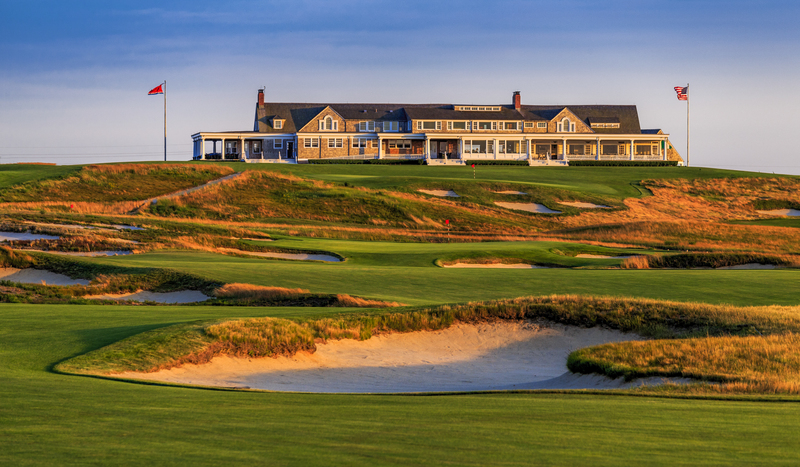 Opens, including the last one at Shinnecock Hills, is not exempt and as of press date, has not received a special exemption. After this week, there are only two more options for getting into the U.S. Open field. One will be as an alternate if some poor guy has to give up his coveted spot. The other will be if by chance a player earns enough points at the FedEx St. Jude Classic to move into the Top 60 in the World. And then it’s on to Shinnecock Hills: a fabled course, set amongst the dunes and mansions on Eastern Long Island; one of five founding member clubs of the USGA; a classic William Flynn design; and the site of perhaps the greatest debacle in modern U.S. Open history. Who can forget the grounds crew hand watering greens on the final Sunday of the 2004 Open? Between groups? Or Phil Mickelson intentionally hitting into a bunker on the short par 3 7th hole because there was no chance of holding a ball on the green. Or player after player watching in disbelief as their five foot putts rolled beyond the hole, beyond the green and down a thirty yard embankment. The USGA prides itself on its U.S. Open set-up as being “tough but fair”. In 2004, it was beyond tough and anything but fair. Shinnecock Hills sits on an exposed piece of land hard on the Atlantic coast where the ocean winds are a constant presence and greens tend to dry out. When they’re running as quick as the USGA likes that makes them dangerously fast. In 2004, the USGA pushed a bit too hard and Shinnecock almost became unplayable for that Sunday final round. Since then, the USGA has been under attack for its course set-ups elsewhere too. Oakmont greens were silly fast in 2016. Remember Dustin Johnson’s moving ball? Chambers Bay and Erin Hills were too wide open. Merion was too short. In 2012, Bill Coore and Ben Crenshaw made some modifications to Shinnecock, widening a number of fairways, adding new tees and expanding greens. This was all done under the watchful eye of Mike Davis, Executive Director of the USGA. The final result was a course that was 500 yards longer and considerably more generous off the tee than the dreadfully difficult layout faced by competitors in 2004. Davis felt that the revamped Shinnecock would be one of the USGA’s best tests yet when the Open arrived in 2018. The rankers at Golf Digest appear to agree too; in the most recent ranking, Shinnecock Hills is ranked fourth best in the United States, behind only Pine Valley, Augusta National and Cypress Point. However, after watching the way players dismantled a defenceless Erin Hills last year with its 75 yard fairways, Davis worried that perhaps they could do the same to a more forgiving Shinnecock. According to Golf Digest, it took a call from former champion Raymond Floyd (1986 U.S. Open) to reinforce the observation: Shinnecock was not the mean test it had been. Consequently, the work crews were brought in again and over the course of ten days last fall, removed some five acres of sod, replacing it with fescue. Fairways that had been widened to 60-75 yards by Coore and Crenshaw were reduced to an average of 41 yards. That’s still considerably more generous than the 26 yard average in 2004 but with increased length of holes and some reshaping in the landing areas, Davis is confident that the course will still test accuracy off the tee. Corey Pavin at the 1995 U.S. Open at Shinnecock Hills in Southampton, N.Y.
One thing that everyone seems to agree on is that Shinnecock will still be tough and has lost none of the subtle and not-so-subtle ways it can defeat a golfer, just when it looks like he has the U.S. Open trophy in hand. 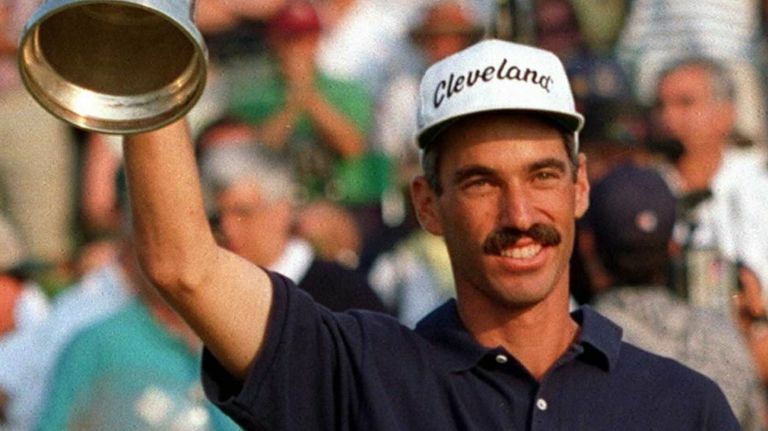 1995 champion Corey Pavin became the next in a long line of golfers to steal a major from Greg Norman, when he nailed a four wood to the 72nd green and made a two putt birdie to win. It’s unlikely we’ll see another spectacular shot like that to win and it’s also highly unlikely we’ll see another survival test like 2004 – the USGA just won’t allow it. 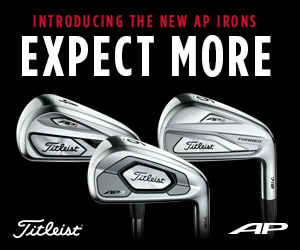 But it is a U.S. Open – something exciting is bound to happen. We just have to wait and see.